Custom Blending | Compact Industries, Inc. If it’s powder, we can blend it. Compact Industries, Inc. has the operational capability to fulfill your custom blending needs. 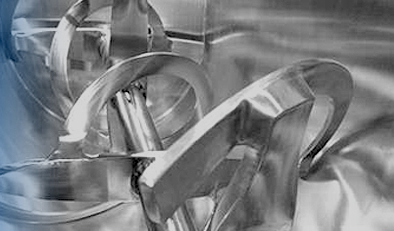 Our volumetric, ribbon and paddle blenders enable us to blend batch sizes up to 6,000 lbs., depending on product density. In the initial stage of product development, we will create small batches for your testing needs. During the manufacturing stage, we are capable of packaging your finish blends into an array of different type and size units: single serve K-Cups, multi-wall bags, bag in box, composite drums, canisters, supersacks, and bulk totes. Compact Industries, Inc. has the operational capability to fulfill your custom blending needs. 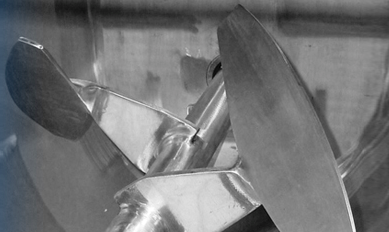 Our volumetric, ribbon and paddle blenders enable us to blend batch sizes up to 6,000 lbs, depending on product density. In the initial stage of product development, we will create small batches for your testing needs. During the manufacturing stage, we are capable of packaging your finish blends into an array of different type and size units: single serve K-cups, multi-wall bags, bag in box, composite drums, canisters, supersacks, and bulk totes. Paddle Blenders are used for a wide variety of mixing applications. 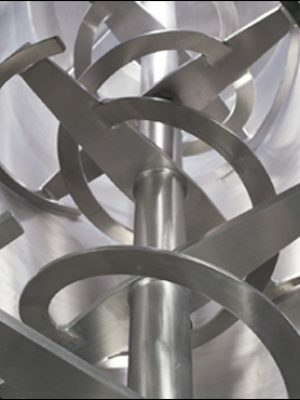 Our paddle blenders have agitators that ensure rapid, homogeneous blending of the ingredients. Ribbon Blenders are best suited for products of uniform size and density, which allows for effective mixing of ingredients. We also have the capability of blending larger continuous batches utilizing our enclosed blending system. The system can hold 7,000 lbs. in an attached surge hopper, while batching an additional 7,000 lbs. blend utilizing the blender above the surge hopper, for a combined total of 14,000 lbs. This serves as a continuous feed system for longer product runs. We have designed rooms that allow us the ability to simultaneously blend both Allergen and Non-Allergen products. Compact Industries, Inc. has ribbon and paddle blending for a wide variety of mixing applications to get the desired homogeneous blend.